The second method for Essential Oil use is Topical application! applying the EO (diluted or neat, depending on the oil) to the skin. This method involves applying the essential oil to your skin. 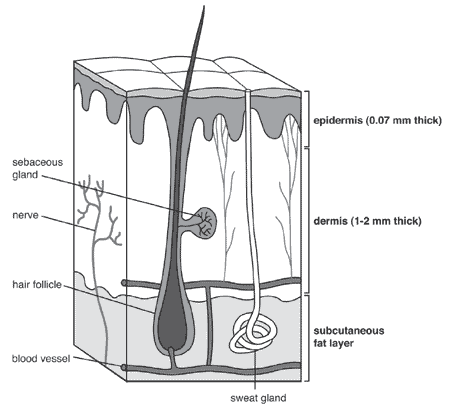 When the oils are applied, they are absorbed by the skin, hair follicles and pores into the bloodstream. Different essential oils support and affect different body systems and organs, depending on the constituents (natural chemicals) in the individual oil(s). Applying the oils to areas where the skin is thinner (pulse points: behind ears, wrists, temples, back of neck) or where the pores are bigger (bottoms of feet) helps them absorb into the body better and work faster. Of course, if you are applying an oil topically for a specific, localized purpose (a sore muscle, a blemish, a rash, etc…), you would apply the oil where desired! Some of your Essential Oils can be applied neat (undiluted, straight from the bottle) to the skin. Apply drop to your finger and rub where desired. Be sure that the oils you choose are safe for neat usage! To dilute an essential oil, figure out the dilution ratio (a good essential oil reference can help you with this or use the dilution calculator on www.oilynotebook.com. All Young Living oils have suggested minimum dilution requirements on the bottle! For every 1 drop of the essential oil, add X drops of carrier oil, mix and then apply to desired area. Add heat (moist or dry) or cold packs on top of your oils to help them penetrate deeper into the skin. For full body massage, you will use more carrier oil per drop of essential oil. Massages usually take place over a large area of the body and you don’t want to overload your system with too much E.O.s. Another way to have your diluted E.O.s ready to use is to buy a small (usually ½ to 1 ounce) dropper bottle. You can add your essential oils and carrier oils, swirl to mix and the precisely dispense diluted oil with the built in dropper. You can pre-mix your diluted E.O.s in any number of small containers, but most people like using roll-on bottles ("roller balls") for easy easy application. A roll-on is a small (usually 5-15 ml) refillable bottle with a snap in topper that has a ball in it. By pressing the ball to your skin and rolling it around, you will be dispensing a small amount of diluted E.O.s without having to measure it out every time, all while keeping your hands mess-free! They travel well, too (great for purses and backpacks), and make E.O. use easy for family members that are better off not messing with dilution and safety.